It’s all in the bag! Keeping all your stuff dry and safe is in the bag, as long as you have the COR Surf Excursion, especially when you are on the water or at the beach. Designed out of a strong weather proof material that is super lightweight (the whole pack with the extra goodies inside is only 2.2 pounds! ), the Excursion is 100% waterproof and built to last with a dry-bag roll top and 2 splash resistant zippered pockets on the outside. Padded mesh shoulder straps and extra mesh padding on the back allow for welcome airflow and comfort, plus the chest and waist straps provide extra support and stability when carrying heavier loads in this 40 liter bag. Two mesh side pocket hold large water bottles or sunscreen or snacks. 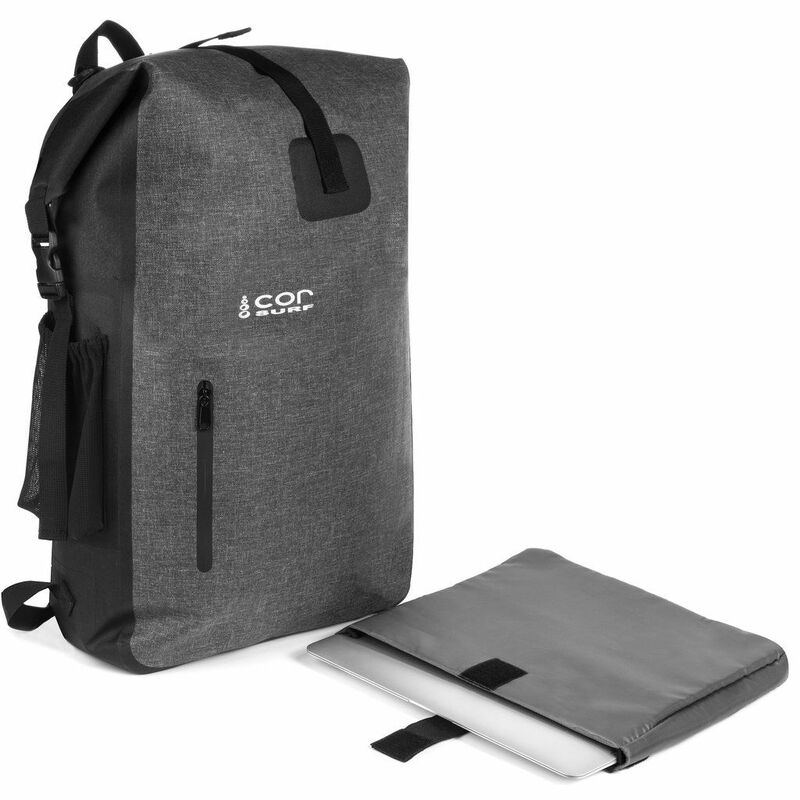 Inside this big bag, you’ll find a removable padded laptop sleeve that can fit up to a 15 inch laptop, as well as a removable organizational pouch with a zippered pocket, other open pockets, and a hook for attaching keys or attaching the pouch to the outside of the pack. The COR Surf Excursion is a must-have for all your adventures and travels, whether they’re water-based or not!